That little phrase — non-refundable (or non-returnable) — is as unsettling to frugal shoppers as garlic is to vampires. Surely in this day and age, where the customer is always right and stores are willing to do anything to get your business, the very idea of non-refundable must be out of date, right? So, what follows is a list of items that are often non-refundable or non-returnable, and a few ideas on how to get around the “standard” policy. These are perhaps the biggest and best-known non-refundable purchases. We're always afraid to commit to buy because we know, even if we purchase the pointless travel insurance, that we're never going to get our money back. But for those with particular circumstances or some real persistence, it is possible. These are tough times for the airlines though, so these days it's even harder than ever to get any kind of refund or exchange. First, if you need to cancel your flight due to “acts of God” in the country or state you're flying to, you will most likely get a refund. These reasons are not exactly small potatoes though, and they include severe weather, political turmoil, war, pandemics, or civil unrest. It's no guarantee, of course. Medical problems are also taken into account when it comes to ticket cancelations. If you are struck down by a sudden illness or cannot fly due to problems that could occur (eye surgery + pressure = danger), then you could qualify for a full refund. You will need supporting medical documentation; you can't just call up with a sick note from your mom. If there's a death or illness in the family, many airlines will give you a refund for your ticket. Hopefully that's one reason you'll never have to use. And if you have just lost your job, you may be able to get a refund on that ticket. You'll really have to turn on the charm, though; most airlines have been thrown into financially choppy waters due to the economy, and a similar story on your end may not go very far. 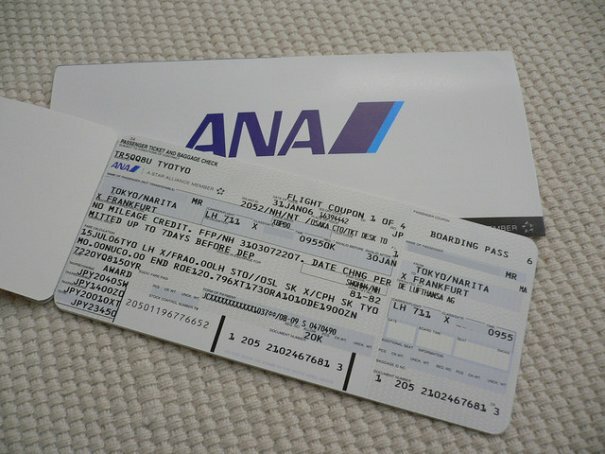 Closely related to airline tickets are hotel rooms. Many of the same reasons for canceling a flight also apply to the cancelation of a hotel room. Once again, you should be able to cancel your reservation and get a full refund if the hotel is bang in the middle of a country that's being hit by war, severe weather, a pandemic, and so on. Canceling due to illness or a death in the family is also a solid reason. However, you may not have as much luck with your own medical issues. Can't fly? Drive to the hotel. Feeling ill? Stay in your room for the trip. The hotel won't really care. If it's peak season or there's a conference in town, you'll have a better chance of getting a refund. In those circumstances the hotel will have no problem filling the room. But any other time, you're probably going to eat the bill unless you have a world-class excuse. Remember, though, if you can't get a refund, a credit for that hotel may be just as good. See if you can wrangle a stay later in the year for free. It also doesn't hurt to ask travel agents if they can help; they often have great relationships with the hotels. And always call the hotel directly; never go through the site you used to book the room. Hotels are filled with people who are in the business of making people happy with their stay. The other sites just want to sell rooms at a discount. When you ask for a specific paint to be mixed, you're committing to the sale. The hardware store will print in big, bold letters NON-RETURNABLE on the top. You're stuck with it. Or are you? 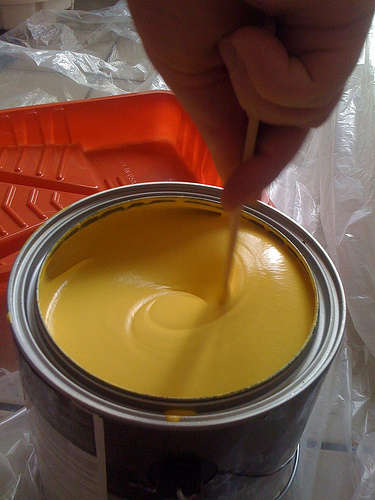 You may be stuck with the can of paint, but most stores will be more than happy to tint it again if it's possible. I just found this out when a tint I asked to be made turned out to be slightly too dark. The people at Home Depot showed me a selection of colors that could be made from the tint I already had and turned it that shade for me. Nice! Now if you're wondering how those “oops” paints get returned, they don't. Those are mistakes made during the tinting process that produce the wrong color, or maybe you ordered a quart and the member of staff mixed a gallon by mistake. That goes on sale because you didn't ask for that size and shouldn't have to pay for it. You bought two tickets to see U2 or Coldplay at a huge stadium, but then a week before the gig your boss tells you about a last-minute conference out of state. You're now stuck with two tickets that you won't be using, and almost all concert tickets are non-refundable. 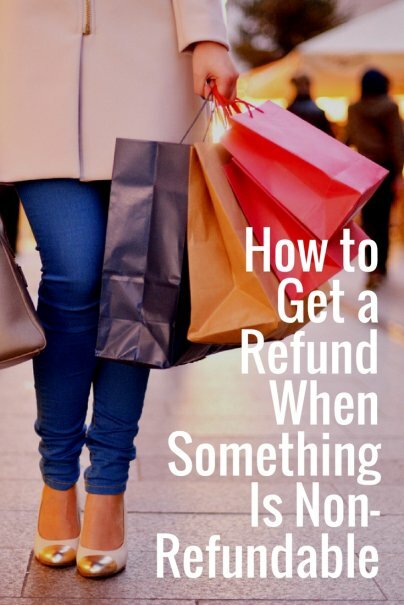 The best way to get a refund is to sell them. It's that simple. Craigslist is the best resource in my opinion. List the tickets at face value, and you'll probably get your money back. If you want to make sure you get something for them, undervalue them a little. If the concert is sold out, don't think it means everyone is scrambling for a ticket. Scalpers and online brokers often buy up hundreds of tickets and resell them at a massive profit, but it doesn't always work out well for them (Charlie Sheen...oh dear). But don't go down to the box office to get a refund. You'll be laughed at 99% of the time. This one's a toughie. The bright red or yellow sticker on the box saying “clearance, no refunds” should make it fairly obvious that you won't get a refund on the item. But a little ingenuity can help. Many of the big stores like Walmart and Target will take back those clearance items in spite of the warning. As long as it's in the original packaging, you'll probably get your money back, or at the very least some store credit. Now we go from tough to really, really tough. Bespoke, or tailored, clothing is very difficult to return. And the reason is obvious. The only person it fits perfectly is you. For a start, think about why you'd want to return it. Is it buyer's remorse? That won't fly with the tailor who sold you the suit of pair of slacks. Tough. You can always try and claim poverty, but that won't work either. To be honest, your best bet here is to list it on eBay. With its worldwide reach, you'll find plenty of people with your measurements, and you may even get more than you paid for it. And if that fails, donate it and write it off on your taxes. This is another rotten one to negotiate. In the past, no problem at all. But these days, with copying as easy, and as widespread, as ever, stores have to be ultra-vigilant. Personally, I don't blame them. If they gave everyone a refund who came back a week later with an opened game, they'd go out of business. Now, there is definitely no problem in getting an exchange for the exact same title. If you have a scratched disc and want a replacement, you'll get one. If someone got you a PS3 game and you own an XBOX 360, they should swap it out for a different platform. But what if you get a CD or game, pop it in, and instantly hate it? What then? Well, you could simply sell the item. You won't get top dollar for it, but it's better than having something around that you'll never watch, listen to, or play. Another option is to "regift" it. 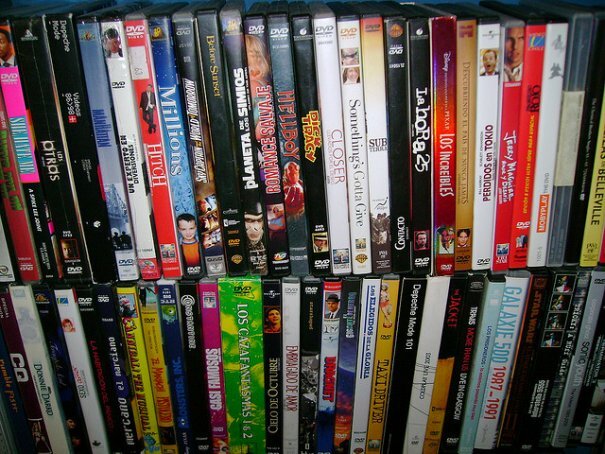 Of course, it should be in perfect condition if you do that; no one wants some scratched-up DVD or CD or a game covered in fingerprints and Cheetos crumbs. So, that's my list of the top seven items that are non-refundable and have workarounds. Did I miss one? Do you have any additional advice? Leave your sage wisdom in the comments below. If you do get a credit instead of a refund, it's good to check if there's a use-by date. It's no good getting a credit if you can't use it before it runs out! Anybody have any good success stories about getting refunds? Here's a challenge I'm facing right now: Bought a nice, reinforced heavyweight wheeled duffel from Ebags for a trip to Hawaii in May. The trip was scheduled for August, but I wanted to shop for the bag without panic. Inspected the bag when it arrived, it seemed great, even with several practice packs. It held together on its very first flights, all the way to Honolulu, but on the return to the airport, a side seam simply opened up. No tear, no strain, it just came apart. Ebags says the item is beyond the sixty day refund limit--so sorry, not gonna give you anything for a defective item. Does anyone know any other recourse--besides never shopping at Ebags? I had a similar problem with an inflatable backrest that I bought 3 months before my trip. The very first time I used it, I found that there was a slow leak that left it deflated within a couple of hours. The website I purchased it from had a 60-day refund policy, and I was turned down flat when I spoke with a customer service rep. However, I asked to have the call escalated to the next level, specifically requesting to speak with someone who had the authority to override the policy. I ended up speaking with a high-level supervisor, who agreed that it was a manufacturing defect and sent me another one. I would suggest that you keep on asking to have the call escalated to someone with authority. Also, be sure to speak politely and explain the situation factually without a lot of emotion; people seem more likely to help someone who isn't angry or doesn't force them to listen to a long, emotional story. Speak persuasively (e.g., "This was a lot of money for me to spend on something that fell apart on my first trip; do you think it sounds like a manufacturing defect? I understand that you don't usually make refunds or replacements after 60 days, but I'd really appreciate anything you can do to help me."). Hope this helps! Please don't ask a travel agent to help you get a refund from a hotel, airline, car rental, cruise, etc., unless you used that agent to originally book the reservation--or you intend on paying them for their work. POSA(point of sale cards) never going to happen. Most of these swapping sites don't charge for membership; your only cost is to pay for postage to ship your item to the requesting member. There are probably similar swapping sites for games, but I don't use them since I don't buy games. And, until the state governments crack down one by one on internet sales, there's always listings on your Amazon.com seller account, to recoup at least some of the purchase price. Less heartburn than letting it go for a yard sale price. If you've booked a hotel through a third-party service (especially one like Expedia or Hotwire that specializes in deeply discounted rates), it may not actually be possible for hotel staff to change anything about your reservation. If hotel staff says they can't change your reservation or give you a refund when you've booked through one of these services, check the service's website for more information about their cancellation and refund policies before making a fuss. Hotel staff do want to make you happy, but there are sometimes limits to their ability to do so when you book through a third party. Nowadays, none of your solutions would work. Maybe the one with the hotel in war zone, but the war must start after you booked the room. Ask you travel agent to help you with the refund? bad idea, they will never do it. They want their commission. Sorry buddy, none of your little rules would work. I ordered health insurance through an agent providing AWA SelectCare insurance, however, when I recieved the informaiton, it was not what was explained to me I spoke to customer service who told me that I would get a full refund including the $99 fee that AWA charges if I canceled prior to the start date of the policy, which is 3/15/12. I knew it was non refundalbe, however, I asked that it be returned since I did not ever use their services. Do I have a legal right to my refund as this is a lot of money. What can I do if they refuse to return it? It is on a credit card. Thanks. I'm not a alwyer, but I would say, yes you legally ahve the right to cancel the health insurance if they didn't offere what they told you. Some of thos companies gor sued for that raeson. 1.Filing a compalint with BBB and Attorney General. But many companies are not bothered by those ans they simple don' respond, but it's a good things to do because the more complaints are there, the more likely laywers are to start filing a law suit against them. 2. I file a claim with my credit card company stating that I didn't receive what I paid for. They will send you sort of affidavit that you need to fill out.There are a few choices there an din your case it would be "merchadise not recieved". Please don't encourage people to threaten "legal action" because a person wants the rules bent. People behind a cash register don't deserve that. 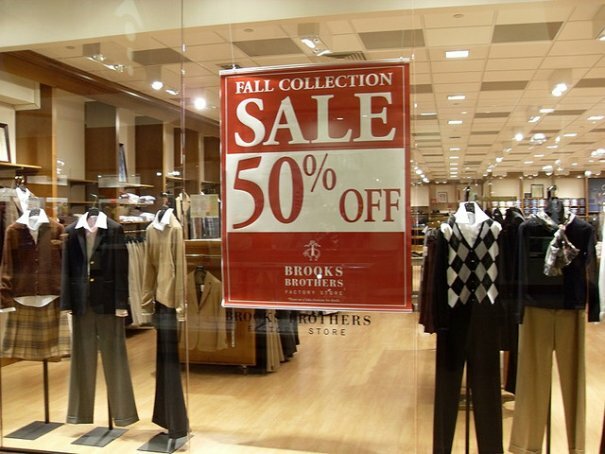 Just because he/she changed his/her mind doesn't mean a store's fully up-front policy must not apply. Absolutely agree. As someone that works at a hotel, we had someone that was upset with one of our policies. Our policy is clearly stated on the booking page, on the confirmation agreement and was also confirmed verbally on the phone. I don't deserved to be yelled at because people want special treatment. For stores that insist on 30 day (+/-) receipts... just buy the product new again, return the old one with the new receipt and throw the new one on eBay etc. Quick fix to stubborn policies. Or you can try to return the new one without a receipt for store credit/at a different store. File a motion in small claims. My husband enrolled me in a self-help online program designed strictly for women. The cost was $500US. I am not interested in the program and the website owner is adamantly refusing to return the money. I only viewed the public space of the website (to see if I was interested and was not) and the refund was requested 4 days after he purchased it. The website did indicate no refunds, however, the website owner and administrator were very aware that this was a gift. Given that this website teaches integrity, honesty and all other forms of New Age BS, I find this business practice completely out of step with their code of morals. BTW, it is untameyourself.com. Any suggestions for how I may become somewhat whole again in this whole mess? What about a custom made cat tree? I had one made and the guy painted the boxes and my cat won't use it! We never asked to have the boxes painted. He used barn wood for post going up n thought all boxes were going to be made with barnwood. Smell is awfully strong cat won't use it but not sure if it's just because of smell? It's airing outside. Guy never told us before making that it was non refundable but idk thought any one who runs a business would want their customers/pets happy. He said he could change it but we would have to pay for materials! Don't know what to do? I purchased a non-refundable all inclusive vacation to the Caribbean, but the only issue is now there is the Zika Virus outbreak after I had already made my purchase. My husband and I are planning to start a family soon and would like to not put our future children at risk. How do I get a refund back from a vacation company that refuses to talk to me whenever I ask about refund or just anything in particular with my package. How do I deal with them and how can I get a refund or at least a response. Special order cakes? When I went to pick it up, it looked like an amateur did it (segmented circles, uncentered lettering, diamonds on a cake when I said specifically NO DIAMONDS on the anniversary cake. they put two) . they said it would take hours to fix and offered me a refund at that point. But then, I changed my mind (30 min later) because they were so rude. (She was telling me how much money this is costing her). How can I get a refund? So basically this article is "how do I make someone else accountable for MY actions." Non-refundable means non-refundable. Period. If you think something might change, DON'T BOOK THAT WAY.